Are Your Salespeople ‘Winging It’ on the Phone? Home / Are Your Salespeople ‘Winging It’ on the Phone? Each and every interaction your salespeople have with potential customers on the phone is an opportunity to enhance customer relations, the image of your business and increase sales! Be honest, are your salespeople properly equipped to optimize each and every phone interaction they have with potential customers? If you’re like most tire/auto service businesses, then the answer is a resounding “no”. ‘Winging it’ on sales calls negatively impacts every business but here I’ll reference my area of training specialization, the tire/auto service industry. In case any of this sounds like speculation, it’s well worth noting that it’s highly unlikely anyone has evaluated more sales calls between tire dealer employees and actual potential customers (not mystery shoppers) then my team and I at Pinnacle Performance Training has. The best way to measure training effectiveness, we have evaluated over 60,000 sales interactions since 2011 and that number is increasing daily! Evaluating all those tire and service sales calls, most for market-leading tire/auto service businesses, has enabled us to teach clients specifically what works best to create customer engagement and sales on the phone. It has also confirmed that, before training, the vast majority of salespeople are indeed ‘winging it’. They have no real process and simply let the caller guide the conversation, responding with facts and figures and hoping for the order. 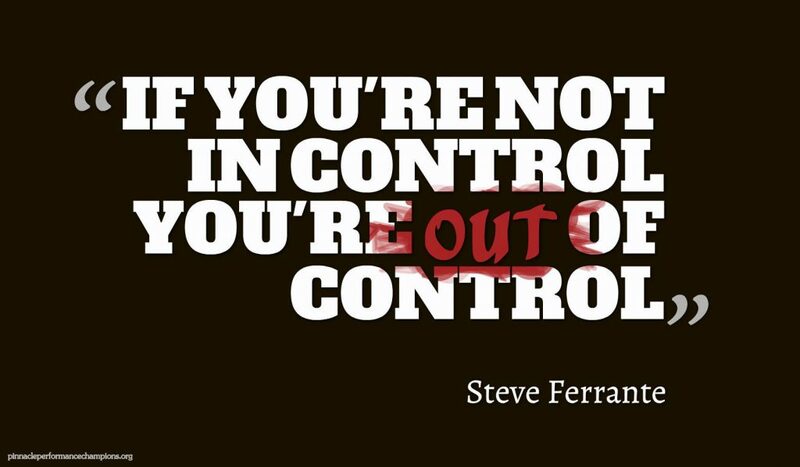 If You’re Not In Control, You’re Out Of Control! Salespeople that ‘wing it’ are not managing a call – the caller is – routinely breaking one of my top “Rules of Engagement”; If you’re not in control, you’re out of control! Typically before training, as an example, a salesperson will respond to a prospective customers inquiry for replacement tires with “what’s the size?” or “what’s the vehicle?” or both. This creates an indifferent first impression with the caller that often worsens when, not knowing what to say after those initial functional questions, the salesperson then asks “is there something particular you’re looking for?” or similar. Imagine going to see your doctor for an ailment and he or she says, “do you have a particular medicine in mind?” Odds of that happening are about 0% yet odds are remarkably high that the equivalent of this is happening on your employee/customer calls right now. Without an effective sales process, sales reps default to mere order takers with recommendations based on size/inventory and most sales are made by being in the right place at the right time. 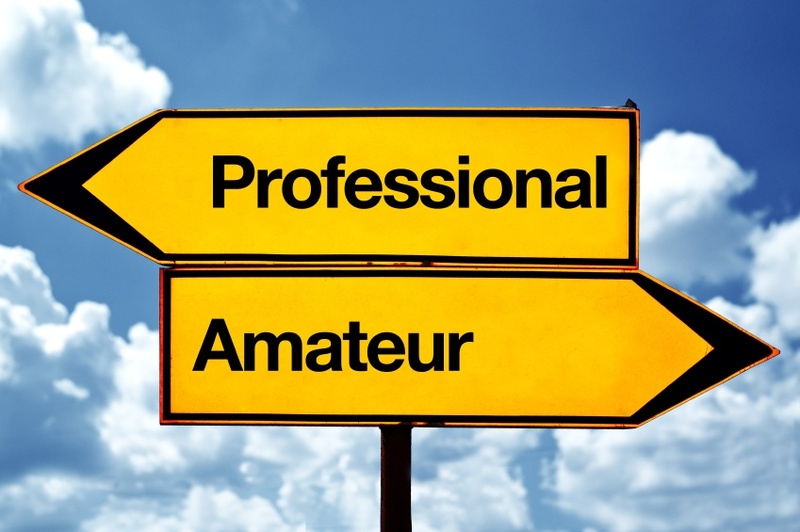 Professionals follow a sales process, amateurs ‘wing it’. To improve customers’ shopping/buying experience and, ultimately, results for the business, all world-class companies train their employees a sales process. To optimize performance on the phone, a clear sales methodology needs to be established and adhered to by your sales team. When we evaluate and literally score calls against our exclusive “Pinnacle Performance” sales process, each sales rep knows exactly how they performed on a given call and we can then pinpoint precisely what weak and/or missing areas of the process they need to improve upon moving forward. Of course, mastering a sales process takes time and change, especially for those veterans that have been ‘winging it’ for years, is not easy. But, once institutionalized, the performance gains are well worth the effort with service advisors being far more effective and efficient in managing their sales calls. If you are a tire/auto service business owner or manager, then you are leader of your team. It’s your job to make sure your team wins. Being properly prepared to most effectively manage every phone interaction and outperform the competition is a vital part of winning. 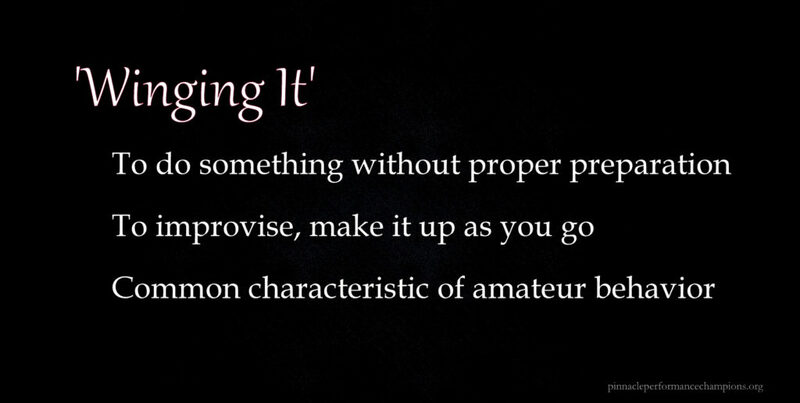 ‘Winging it’ just won’t cut it. Steve Ferrante is the Grand PooBah & Trainer of Champions of Sale Away LLC. As producer and host of Pinnacle Performance, “The Best Reviewed Sales/Customer Service Training Program in the Tire/Auto Service Industry”, Steve has received national acclaim for teaching independent tire and auto service businesses how to improve customer relations, produce greater sales results and build a ‘winning team’ corporate culture. Steve is also the “Selling Smart” columnist for Tire Review Magazine.